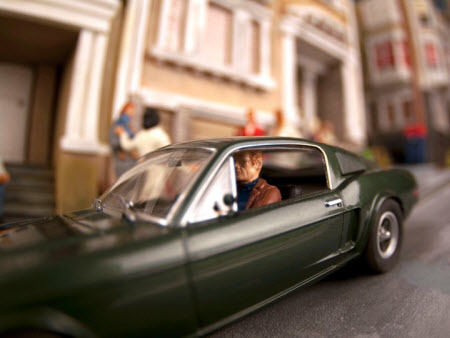 We’ve all seen the famous chase scene from Bullitt but have you seen it re-enacted in 1/32 scale? I bet not. Well now one devoted UK slot-car fan has set about creating such a thing. User ’emigre’ has been painstainkly building the ultimate set with stunning detail. The professional photographer has been using his know-how to achieve some stunning shots which you can see in the video after the jump.